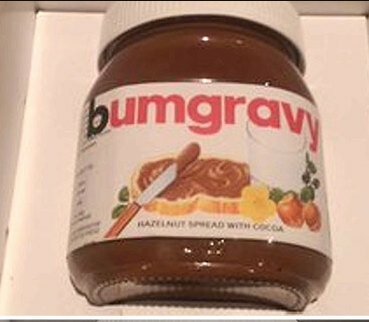 Myth Busting on Climate Change and Flooding - aka Nutella is Really Sugar and Oil ! Media and advertising can convince you of anything. Like "Nutella is wholesome and good for you" - made with milk and nuts, when the first 2 ingredients are actually sugar and oil - its more like Bumgravy! 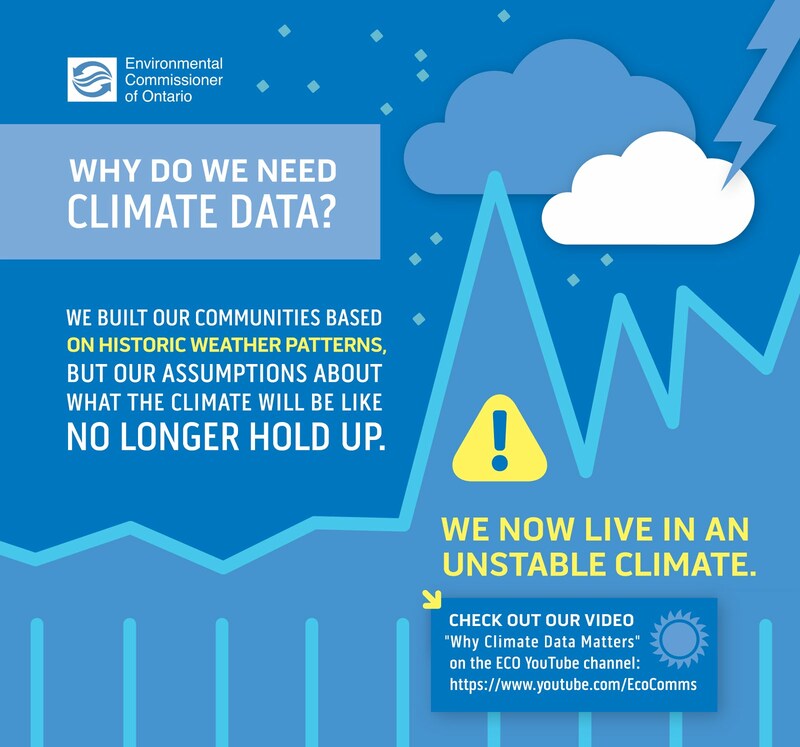 Myth: Rain intensity and frequency has increased due to climate change (MOECC, Environmental Commissioner of Ontario, Ontario Government, IBC, ICLR, etc.). Truth, rain intensities are not increasing according to Environment and Climate Change Canada's published research based on the Engineering Climate Datasets (version 2.3). Myth: Extreme weather events that occurred every 40 years are now occurring every 6 years due to climate change (IBC, ICLR in Telling the Weather Story). 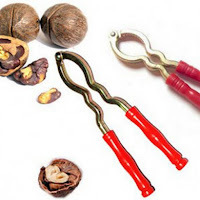 Truth: Maybe worst blunder ever published! IBC / ICLR mixed up a theoretical bell curve shift with actual data - the worst part is they won't admit it and a chief economist at major Canadian bank has repeated the false data claim on historical trends. Myth: We are having 20 times more storms now than we used to and that is causing insurance rates to go up. Truth: The balance sheets of P&C companies is more complicated that this, especially plummeting fixed income earnings in a low interest rate environment that cannot offset underwriting losses anymore .. but that is off track. Environment and Climate Change Canada, through a complaint to the CBC Ombudsman, has corrected this bogus statement as we are not getting more storms. Period. Known flood zone. Deeper flood weeks before on May 28-89.
design flow rate for the Don River at the Todmorden gauge. 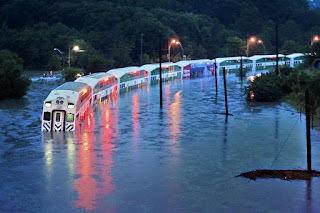 Myth: The GO Train Flood on July 8, 2013 was due to unprecedented conditions is evidence of climate change impacts to weather (Metrolinx, Environmental Commissioner of Ontario). Truth: A higher flood occurred on May 28-29 just weeks before - so not unprecedented. 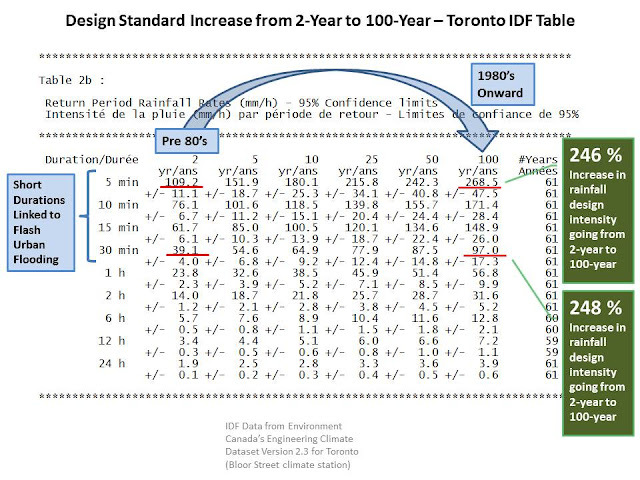 It was less than a 5 year flood flow rate in the Don River per the Todmorden gauge records - so not a climate extreme. 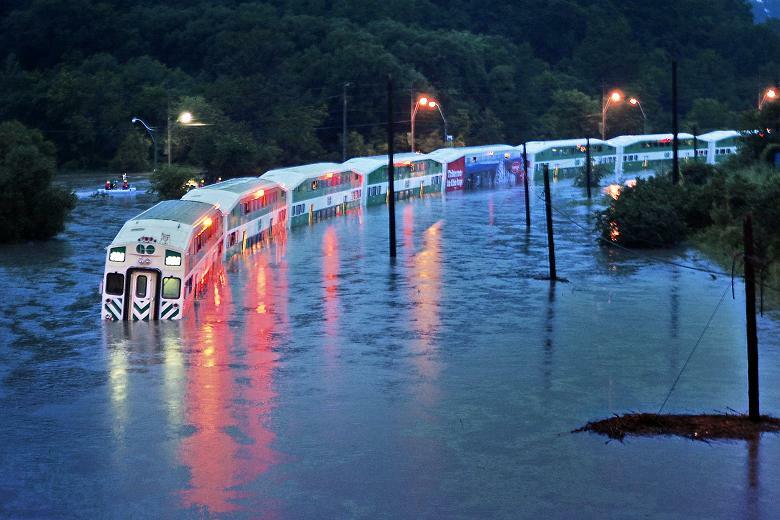 Rail flooding has been documented since the early 1980's flood inquiry to Premier Davis. This was an operational mistake, sending a train into a documented high risk zone at the wrong time during a moderate flow event. Myth: Aging infrastructure is reducing capacity causes flooding (most media). 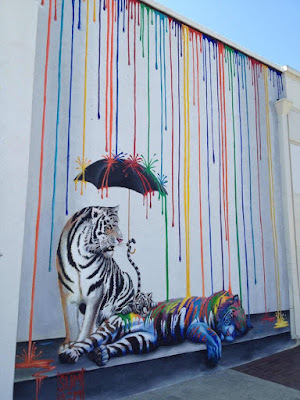 Truth: This has never been cited as a cause of flooding in any of the Municipal Class EA's .. is it possible an advanced City that spends a million dollars per study missed this cause of 'aging'? 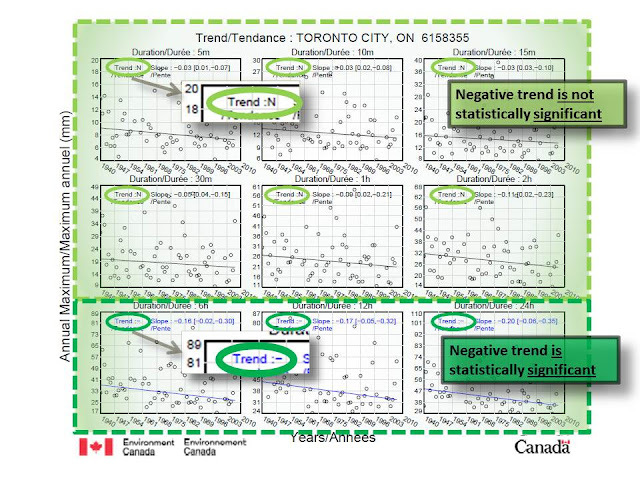 Check out the Toronto program or Council reports and see if there is any example of 'aging' and share it with us. 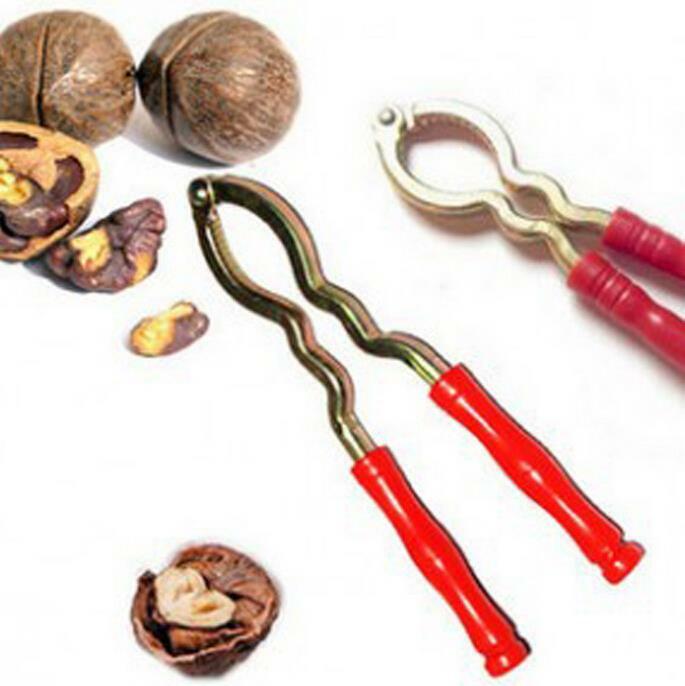 More: Chestnut cracking on sewer infrastructure capacity. 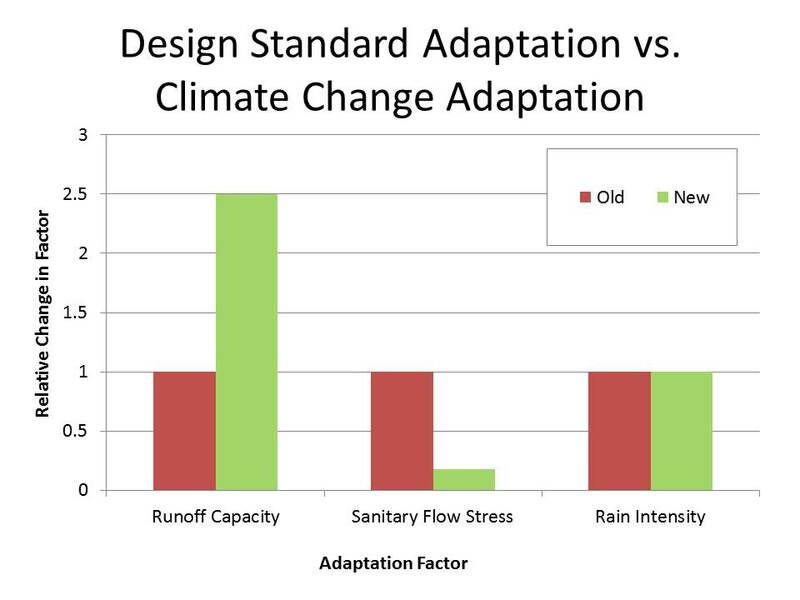 Design standard adaptation trumps climate change mitigation ! 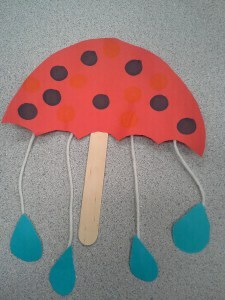 also gave us this very lovely art project. Of course the engineering community has know this for years. But it is a revelation to the insurance industry that the chestnut " “Our underground storm sewers can’t handle the rainfall we get these days.” ... was actually written by a grade 10 geography student who read it first on Wikipedia. The insurance industry has claimed that we are getting 20 times more storms than we used to - 20 time more storms chestnut cracked - thankfully the CBC Ombudsman checked with Environment Canada after our complaint and fixed that nutty story. Thank you Glenn for promoting this ("Our storm sewers can't handle today's extremes, they never really could") – we all need to emphasize design standard adaption to prevent flooding, not climate change mitigation. 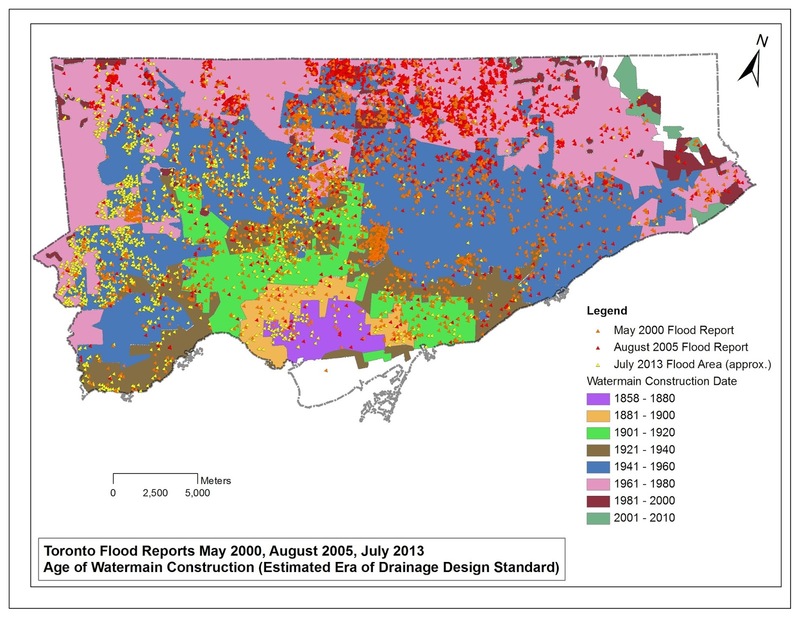 As an example, storm sewer capacities have been increased up to 400% to adapt to a higher level of service (up to 100 year) in the GTA municipality where I have developed the long term flood control program. Local rainfall intensities are decreasing for most durations at our local airport, just like many southern Ontario rain gauges. So rain is not the issue. 1960's development with 5 year storm capacity. low level of service compared to new standards. 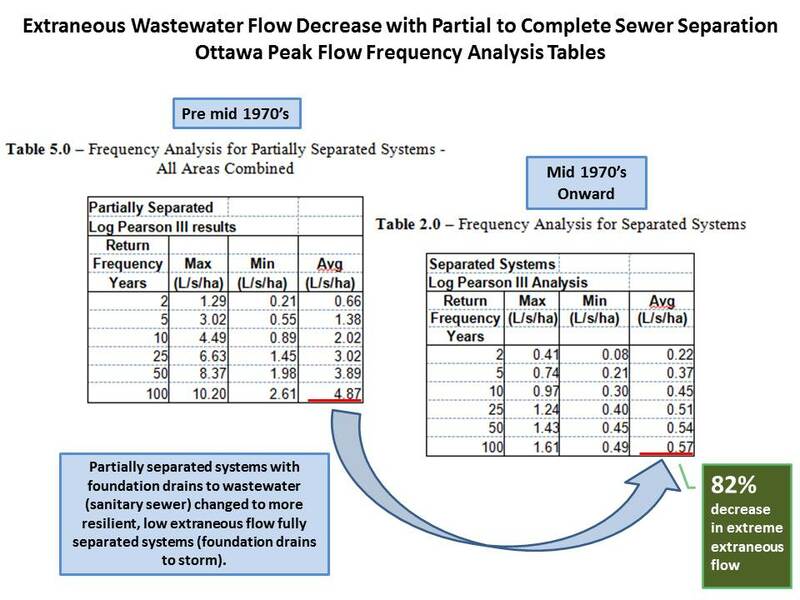 One factor not noted in the post is the interaction of the major overland system with the sanitary sewer system in older, pre 1970’s areas, particularly because of the risk of extraneous inflows that overwhelm the sanitary system during extreme events. Our experience is that late-1970’s areas with somewhat limited major overland drainage networks have relatively low flood risks if the sanitary sewer is fully separated (that is foundations drains go to the storm and not the sanitary). In the municipality where I work we have mapped the overland flow paths, and determined estimated ponding depths using an elevation model to identify areas to seal sanitary manholes from overland inflows and have disconnected downspouts in the high inflow areas to manage that risk factor. This has proven to be an effective approach in an area that had extensive flooding in August 2005 but very little in July 2014 – this was achieve with relatively low cost measures (i.e., downspout disconnection and pick hole plugs). And this risk reduction was achieved prior to storm sewer upgrades. I’m guest lecturing in the Civil Engineering class at Ryerson this Monday and I will highlight the nod to their site!